Taking a screenshot on any smart device is very easy these days. Initially, the screen could only be captured by an application downloaded from the Android, Blackberry and Apple app stores. However, smart devices are lately being manufactured with an in-built screenshot feature that will capture the screen instantly and effortlessly. With the increasing utility of smart devices, the need for a video screen capture also became evident. With the development of Screencast-O-Matic, digital filming of a computer screen video output has become possible without any hardware. Screencast-O-Matic has made it extremely convenient to record on- screen videos with just a tap on the “Start Recording” button. It can also be downloaded and installed on any Mac OSX 10.6 or other upgraded versions by running the application. 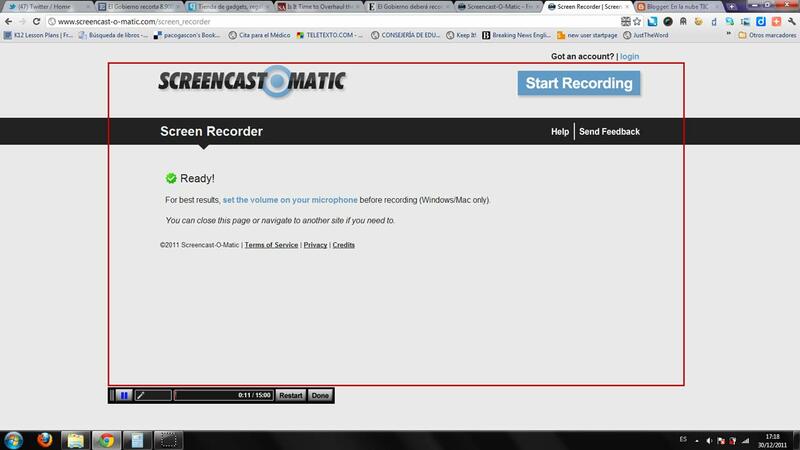 With free version of Screencast-O-Matic, maximum recording time is up to 15 minutes but there is no upward limit on the recording time for Pro users. Moreover, Pro users are at an advantage as they get High-Definition (HD) output with the option to publish videos on Vimeo, Google Drive and more without any watermarks. Not only this, the uploaded videos can be kept secure with the password protect option active for Pro users only. Screencast-O-Matic realizes how annoying pop-up ads can be for the users so bearing that in mind, the software developers of SOM have also eliminated ads in the Premium version. Pro users can also enjoy the editing, scripting and screen shot tools as well as record crisp clear audio on their Win Vista 7/8. 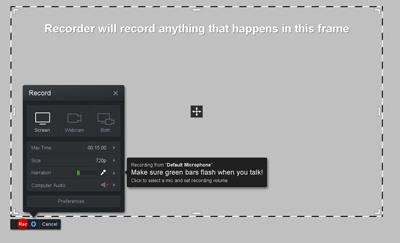 The latest upgrade also includes the draw & zoom and webcam recording option. With this upgraded version of Screencast-O-Matic, you can record live webcam video on your computer as well as zoom in and out to maintain focus and clarity of the recording. Both versions of this software will allow uploading HD quality videos on YouTube and also support MP4, AVI and FLV versions. Considering the numerous benefits of using a Pro version, investing a nominal $15 every year is worth it! Screencast-O-Matic is generally used as a learning aid by many school and college instructors and students for delivering and recording lectures respectively. It is also used by people viewing online videos regarding “How To Do-ers” to follow guidelines and get their solve their problem without streaming online videos over and over again. 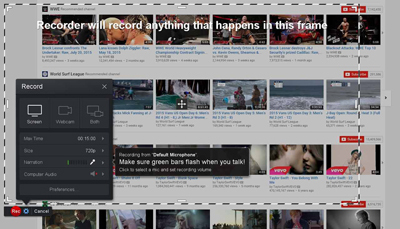 Furthermore, people visiting video hosting websites like YouTube, Dailymotion etc., use Screencast-O-Matic very often to record tutorials, documentaries, entertaining videos on their device. Sharing videos with SOM is no more problematic and does not demand complex technological know-how. Screencast-O-Matic intimates its users about any upgrades and latest news by sending an email and it encourages customer feedback and support by maintaining direct contact through social media pages like Twitter and Facebook. They can follow SOM and enjoy real time news everywhere.